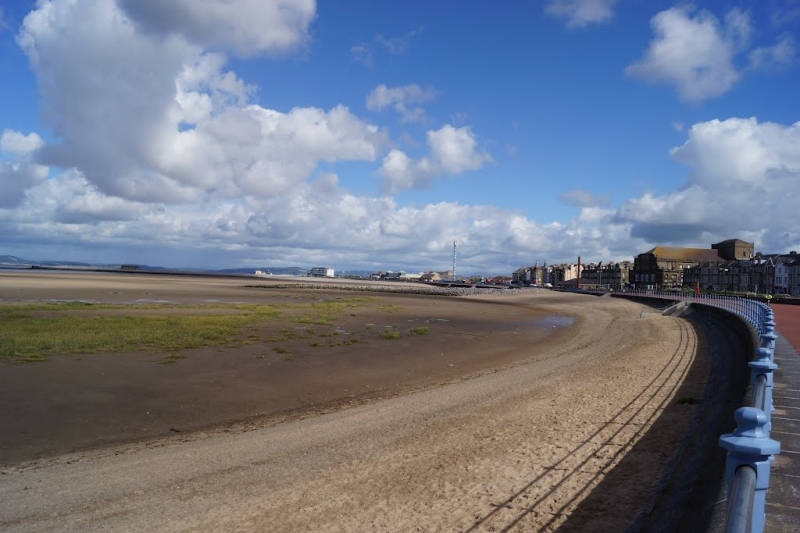 The bathing water at Morecambe South is gently sloping and with small pebbles. There is a strip of beach exposed throughout the tidal cycle except during a spring tide. Groynes stretch for several kilometres up and down the coastline on either side of the bathing water. The tide at Morecambe South Beach is currently rising. High tide will be at approximately 4:35 AM, and the next low tide will be at approximately 11:26 AM. There is parking available next to the beach. A charge applies. Visitor information for Morecambe South Beach, Lancashire, England. Weather, tides, visitor comments, beach facilities, photos, nearest postcode, beach information and nearby accommodation.